← From those wonderful folks at WordPress.com, a look back at 2014. As my former American History students will tell you, I am a great admirer of the modern civil rights movement in the United States, and, especially, of The Rev. 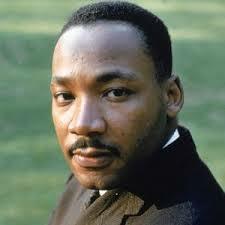 Dr. Martin Luther King, Jr., one of the greatest Americans of the twentieth century. I wish I could say I came to this conclusion only after years of reading, study, and reflection on the Movement and on Dr. King’s role in it, and to some extent that’s true, as you’ll see a bit later. However, I begin with the admission that I first “learned” about the African-American struggle for civil rights when I was growing up, and the “lessons” I learned were taught to me by–what else?–television. The epochal Brown decision was handed down by the Supreme Court in May, 1954, three days before my tenth birthday; the legislative highlights of the “heroic phase” of the Civil Rights Movement, the Civil Rights Act of 1964 and the Voting Rights Act of 1965, were passed by Congress while I was in college. And, until I entered college in the fall of 1962, my largest window on the world was our black and white TV set, and the fuzzy images I saw every night on the newscasts we watched with dinner. I was a very young “news junkie” in 1954–for instance, I still remember watching some of the Army-McCarthy hearings in the afternoon, postponing my homework so I could catch what I would later learn to call “great political theater.” And, when those hearings eventually ran their course, and I had to find a new excuse to put off the night’s school assignments, the drama–and, thanks to television, the images–accompanying the Civil Rights Movement seemed never-ending. I also must confess that I was quite naive about what I was watching. To me, it all seemed very clear-cut, a matter of black-and-white, just like the TV I watched and the daily newspaper I read–but with the traditional symbolism of black-and-white reversed: it was the (Southern) white folks who were the villains (in my mind) and the black people who were the heroes. I also was certain that, as a resident of the great state of Maryland (and, later, of Delaware), I did not live where there were any race problems, no sirree! Although my view of the world has changed over the past five decades, with the clarity of black-and-white evolving into shades of gray, one aspect has not been altered by time–my conviction of the centrality of The Rev. 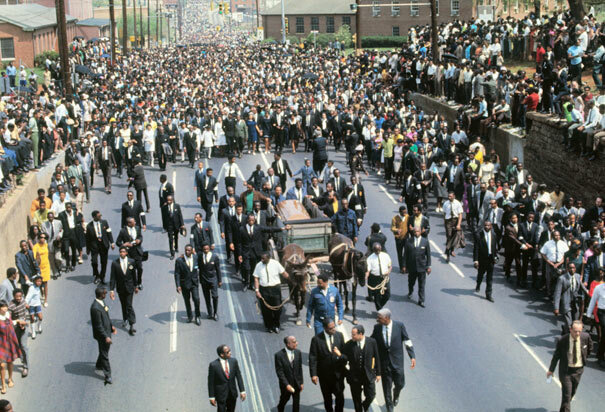 Dr. Martin Luther King, Jr., to the successes–and the failures–of the modern civil rights movement. I still recall vividly a Saturday afternoon, probably during the Little Rock crisis, standing outside my church, waiting for a ride, when suddenly my fascination with the on-going epic of the Movement collided with a burgeoning interest in the American Civil War, and I began to ponder, as only a white 13 year-old could, whether we were on the verge of a new Civil War, this one over the demands of an oppressed minority for the same basic civil rights and economic and social opportunities the rest of us took for granted. On the afternoon of April 4, 1968, my wife and I emerged from a movie theater on a military post in Maryland to learn that Martin Luther King, Jr., had been shot in Memphis, Tennessee. At the time, I was a first lieutenant in the U.S. Army finishing an undistinguished two-year tour of active duty. We had gone to the matinee because that night I was scheduled to be the post’s Staff Duty Officer, which meant that a sergeant and I were to stay in the headquarters building overnight just in case important messages arrived for the post commander. When my wife and I took our seats in the theater a couple of hours earlier, I had been looking forward to the assignment; by the time we drove home, I was no longer anticipating the night ahead. At the headquarters building, I was told that, if things got out of hand in nearby Baltimore, as appeared likely, our headquarters company would be sent to the metropolis to assist in “riot control.” The sergeant and I were then left alone in a small room equipped with a portable black-and-white television set and an increasingly ominous telephone. My mood was not improved when I called home, and my wife told me that her boss, our landlord (we lived above his shop), planned to stay up all night, garden hose at the ready, in case “they” came marching down the main street of our little town and stopped to burn his business on the way. With little to do unless the phone rang, I turned my attention to television news coverage of the roiling civil unrest in the wake of Dr. King’s assassination. Two incidents from that coverage remain with me: an African-American celebrity (exactly which one is beyond my recollection), against the backdrop of the smoke-filled Washington, D.C., skyline, pleading with viewers not to dishonor Dr. King’s memory by engaging in violence or looting; and the increasingly frantic voice of a frightened reporter phoning in details to his employers while an angry crowd rocked, and eventually overturned, the telephone booth in which he had taken refuge. Evidently, the combined efforts of local law enforcement and the National Guard kept a lid on things in Baltimore, because the sergeant and I never got that telephone call. I drove off the post the next morning relieved that the alert had not come but also feeling that somehow, with the death of Dr. King, the Civil Rights Movement and the nation had been irrevocably changed, though in ways none of us could yet fathom. 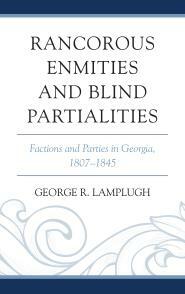 Although I became a “Southern historian” in graduate school, my dissertation topic was quite narrow: a study of one aspect of life in a single antebellum southern state, over a thirty-year period. 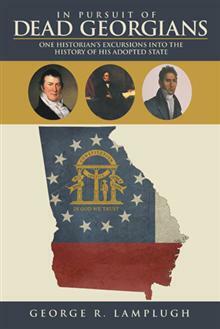 That’s when fate took a hand: unable to find a college teaching post but still determined to teach History, I eagerly sought, and finally landed, a job at a “prep school” in Atlanta. (For more on this, look here) Because I was teaching on the secondary level, I had neither the opportunity nor the incentive to become narrowly specialized, and this eventually brought me back to the Civil Rights Movement. One of my bread-and-butter courses was the American History survey, and, while lecture notes from my days as a grad school teaching assistant stood me in good stead for many topics, they were quite sparse for the years following World War II. Thus, I needed to teach the key events of more recent decades to myself before I could hope to impart them to others. Not surprisingly, given my early “education” in the “school of television,” one of the themes I chose to focus on was the movement for African American civil rights. An early product of this labor was an elective course on the “image” of the modern South in movies and television, an offering that lasted a few years before my school jettisoned most electives in order to scramble onto the “back-to-basics” bandwagon. That course eventually was followed by a unit on the Civil Rights Movement each spring in my Advanced Placement U.S. History course. Finally, I inherited a one-semester elective course, the Modern Civil Rights Movement, which I taught several times before retirement. This class necessitated a lot of additional reading on the Movement, reading I have continued to do since leaving the classroom almost five years ago. Since 1968, those of us who remember Dr. King when he was alive have witnessed the making, unmaking, and remaking of his historical reputation. Some scholars have confirmed his all too human flaws. Then, too, efforts to understand how the civil rights revolution operated at the grass roots have to some extent lowered Dr. King’s historical profile by raising that of the previously anonymous “foot soldiers” of the movement. 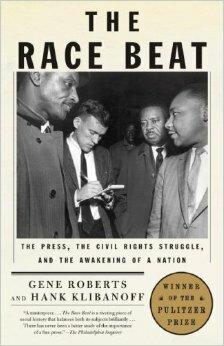 The Race Beat, by Gene Roberts and Hank Klibanoff, examines how–and how well–the Movement was covered by the increasingly important mass media in the 1950s and 1960s, a key development for understanding both the nation’s growing awareness of its racial problems and Dr. King’s role as the face–and voice–of the Movement. While the resulting picture of the forces behind–and against–the Civil Rights Movement is fuller and more complex now, Martin Luther King, Jr., remains a key figure, especially in mediating between the Movement and the larger society of which it was a part. Taylor Branch does an admirable job fitting Dr. King into the broader context of American history since the mid-1950s in his trilogy, America in the King Years, completed in 2006. 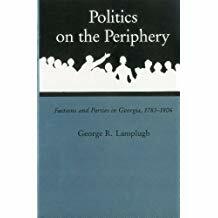 Branch balances coverage of the Movement in general, and King’s activities in particular, with treatment of the other issues facing the country during the years of King’s prominence. 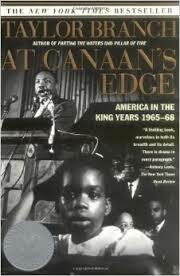 In his final volume, At Canaan’s Edge, for example, the impact of the Vietnam War nearly swamps King’s efforts to push the nation along the rocky road to equality, just as it did in “real life,” at least in my memory. Overall, Branch keeps his hero at the center of things, carefully charting his course and the ways others, especially those in power, responded to King’s initiatives. So successful is Branch in accomplishing this difficult task, that, when King is finally cut down on that motel balcony in Memphis, and Branch concludes his massive work with an epilogue of less than five pages, the reader finds himself wondering how the history of the nation might have been different had King not been assassinated. 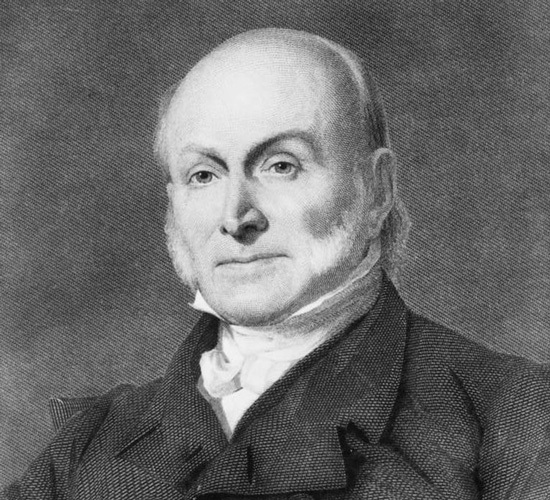 There is no question that, in Branch’s capable hands, King becomes one of those rare figures whose life–and death–made a significant difference in the history of the United States. 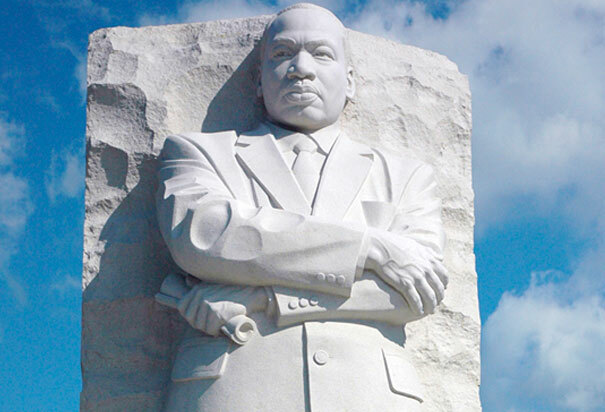 Today, Dr. King has a national holiday and a memorial statue on the Mall in Washington. He and his legacy are now “monumental” in every sense of the word. Meanwhile, his children try to “protect” his image and his words, but they do so in a way that makes them seem mercenary. And, as if that isn’t enough, those still opposed to government support for Civil Rights use Dr. King’s “content of their character” mantra to criticize efforts to advance the cause, claiming that those efforts are somehow “racist.” I watch their antics with a mixture of bemusement, cynicism, and an occasional flash of anger. In quieter moments, though, I think of that thirteen year-old waiting outside his church, pondering the possibility of a new Civil War over the issue of Civil Rights. There was never any question, then, whose side he was on. . . . And there still isn’t. This entry was posted in "The Race Beat", Books, Civil Rights Movement, Current Events, Dr. Martin Luther King, Education, Gene Roberts and Hank Klibanoff, Georgia History, Historical Reflection, History, History Curriculum, History graduate school, Popular Culture, Prep School, prep school teaching with a PhD, Research, Retirement, Southern (Georgia) History, Southern History, Taylor Branch, Teaching, Uncategorized, WP Long Read and tagged "Jim Crow South, Gene Roberts and Hank Klibanoff, Jr., MLK Holiday, Modern American Civil Rights Movement, Taylor Branch, The Great Migration, The Rev. Martin Luther King. Bookmark the permalink. Thanks for this essay and update, George. Just to provide a little comparison, I grew up in the Deep South. I had my own struggles and the Civil Rights Movement was not among them. Actually, when I came out of political science graduate school, one of my singular ambitions was “not” to become a southern politics specialist. Needless to say, over time that specialization became perhaps the most enjoyable and constructive aspects of my career. Glen, thanks for the comment. Let me add something that isn’t in the post: I grew up in an industrial suburb of Baltimore, Md., in a neighborhood populated mainly by southern ex-pats who had come north for work at the local aircraft factory during WWII, along with other assorted white ethnics. And, perhaps not surprisingly, the “n-word” was coin of the realm in our little slice of heaven. Not that there were any African Americans living among us (it was, after all, the early-mid-’50s) or attending school with us. That was one of the things that made the CRM a big issue for me. Thanks for the u-tube link. Now that I know that the person I saw was not James Brown, I need to discover who he was! Scott, I read your assessment of the Thurman book, and it’s a fine one, because it makes me want to read the book! I also agree that we teachers often run into students who just can’t be bothered to *listen* to the story of the modern Civil Rights Movement–like racism in the U.S. following Obama’s first election, they consider it just “so last century.” BUT, those of us who lived through it know better–or should!